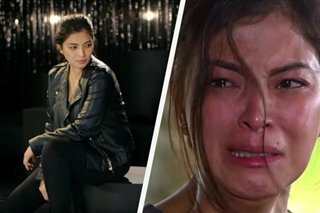 MANILA—Between “The Legal Wife” and “The General’s Daughter” went five years of anticipation from fans for the teleserye return of Angel Locsin — and now the wait is over. But what precisely took the comeback so long?Locsin, 33, has made no secret of the tumultuous years leading up to her first lead role in a series since the 2014 mistress drama. She went through a bitter breakup, nursed a spine injury that cost her a passion project, and nearly resigned from ABS-CBN after being overcome with self-doubt.The series of challenges had triggered speculation in relation to her becoming less visible on TV, but in back-to-back press conferences for “The General’s Daughter” this week, the actress finally set the record straight. While Locsin did take on acting roles on TV, they were limited, such as a two-part episode for “Maalaala Mo Kaya,” and a guest appearance in the fantaserye “La Luna Sangre.” These were aside from her judging stint in “Pilipinas Got Talent.” In 2016, she starred in two Star Cinema films, notably non-action ones, since Locsin had just then started treatment for her spine injury.In 2017, Locsin and Star Cinema reached the final decision of her withdrawal from “Darna,” citing her condition in light of the physical demands of the role.In a light moment during the grand press conference of “The General’s Daughter,” Locsin revealed that even though she had no lead TV roles in the those five years, she still received a full salary as per her contract with ABS-CBN. The cast and directors of ‘The General’s Daughter’ watch a behind-the-scenes reel of the series during a January 15 press conference. Michael Bagtas, ABS-CBN NewsJoining Locsin in the series are big-name screen veterans: Albert Martinez, Tirso Cruz III, Eula Valdez, Janice de Belen, and Maricel Soriano. 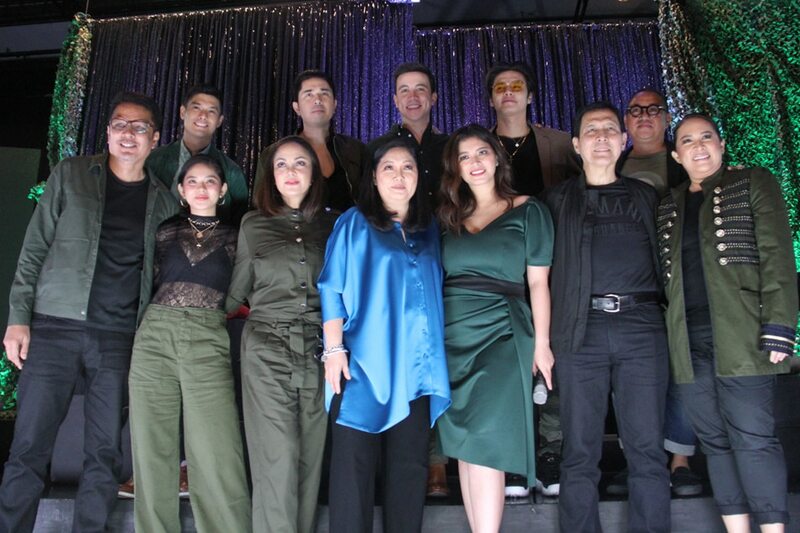 Also part of the cast are Paulo Avelino, JC de Vera, Arjo Atayde, Ryza Cenon, and the breakout tandem of Loisa Andalio and Ronnie Alonte.“Sa mga kasama mo sa show, doon pa lang makikita mo na na napaka importante ng teleserye na ‘to, so kailangan mong mag-set up talaga,” Locsin said.Directed by Manny Palo and Mervyn Brondial, “The General’s Daughter” sees Locsin as Rhian, a soldier raised to kill her own father, leading to conflicts both physical and emotional. Watch more in iWant or TFC.tvIn promotional ads for the series, Locsin is dubbed the “Action-Drama Queen,” a title that’s been long associated with her by fans given her track record of performing her own stunts in various portrayals.Admittedly, Locsin feels awkward about the “royal” tag.“Ako lang po yata sa batch namin na walang title. Dalawa pa ‘no? Medyo naninibago po ako, honestly. Nasanay ako na walang title. Kahit ‘yung pagtawag sa’yo na ‘queen,’ ayaw ko po kasi talaga ng ganu’ng title. Maraming, maraming salamat po, kung tingin niyo na pasok ako doon sa ganoong genre. Thank you so much, kasi ginagawa ko po talaga ‘yung trabaho ko para ma-please kayo,” she said.